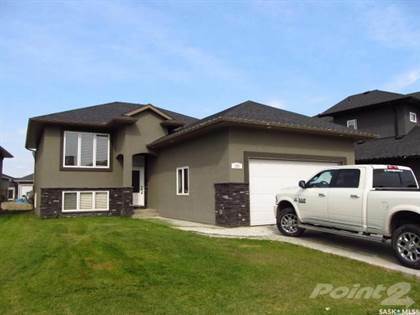 I am interested in 407 Muzyka Rd, Saskatoon, SK. 407 Muzyka Rd is a 1928 square foot House for sale in Saskatoon, SK S7N0E9. It has 3 beds, 3 baths and was listed on Ovlix.com since March 21, 2019 by Boyes Group Realty Inc. for $575,000. Listing agent: Jordan Boyes. The average price for similar 407 Muzyka Rd real estate listings - $408,424 which is 1% higher than $405,819 for Saskatoon, and 19% higher than $299,061 for Saskatchewan. Comparable nearby homes are: 1110 Shepherd Way, 830 Laycoe Cres, 26 115 Meadows Blvd, 419 Waters Cres, 118 Cumberland Ave N. What's near 407 Muzyka Rd, Saskatoon S7N: Saskatoon Silver Springs, Centennial Collegiate, Domino's Pizza, Parr Autobody, St. Joseph High School (Saskatoon), Wilson's Greenhouse ( Eastside Main Location), Dr. John G. Egnatoff School, Dutch Growers Garden Centre, Silverspring School.